Do You Need a New IT Company? 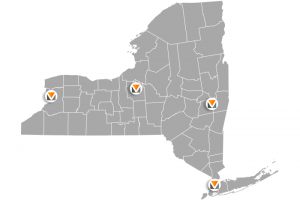 VITEC Solutions provides IT services in Buffalo, Albany, Syracuse, and New York City. In the fast paced world we live in, the use of the internet, computers, and smart appliances are what sets successful businesses apart from not so successful ones. Regardless of what your company does, you must have technology that works smoothly and efficiently for your customers and your employees. Both small and large companies alike can have a difficult time finding professionals that are able to tackle the tough IT problems you can face today. That’s where VITEC Solutions steps in. VITEC Solutions is a company that consistently uses methods we know and trust. We want to solve all your business’ problems whenever they arise. Why? Because VITEC Solutions is a company that approaches your business with commitment, and the utmost respect for your company. Our network of IT professionals makes us your go to IT company for your business. VITEC Solutions engineers a network for you, and builds a secure structure for your company. Our employees are well versed in network solutions, HIPAA compliance, cyber security, and more. We are able to protect your most sensitive information, while making sure your technology runs without a hitch. If you need any help or have any questions about IT services in Buffalo NY, please give us a call today! Eliminate IT blunders by choosing VITEC Solutions as your IT company. Our experts are available and willing to help with any and all of your technological needs! What best describes your hours of operation?